The images below are from the Cook family photo album of Michelle (or "Mickey" as I have called her since we were little.) May they bring a smile in these sad times as we mourn her passing. 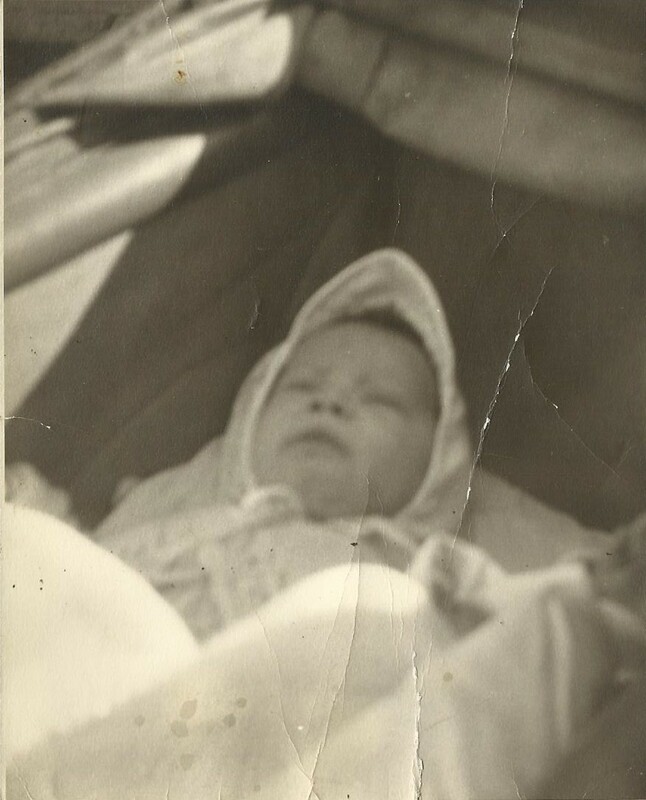 Above: This photo showing Michelle in her baby carriage was sent by her sister Terryn. Probably taken in 1959. 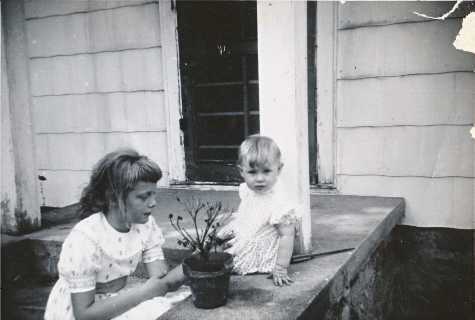 These were taken around 1960 at our house in Hemlock NY. The one of the left was taken in our living room, and the one on the right in an adjoining room where the changing table was located. 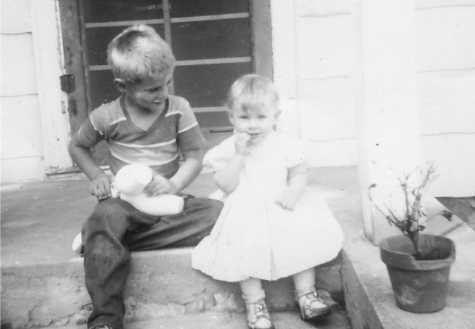 (Left) Mickey and I are sitting on the side porch of the house in Hemlock. 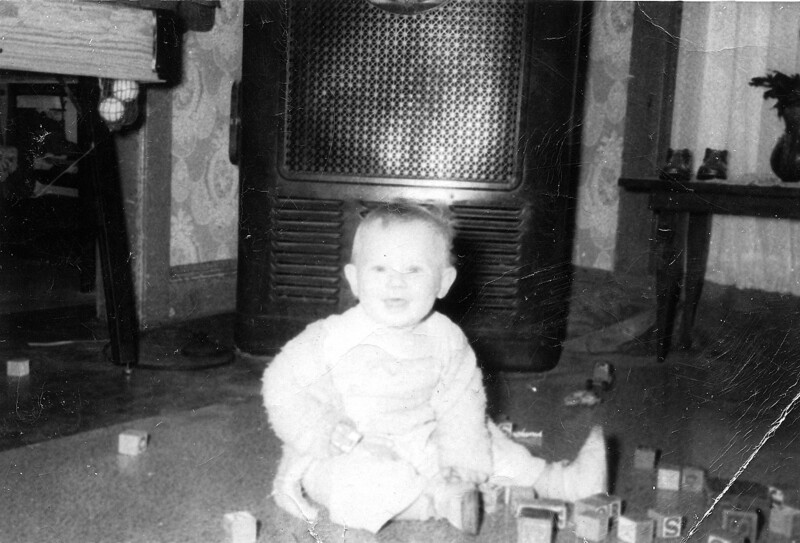 This is probably 1961 or 62. (Right) Taken the same day in the same location. I believe the girl is Wanda Armstrong who lived next door. 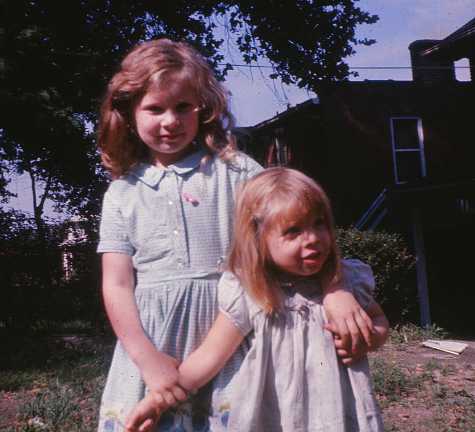 (Left) Mickey and her sister Terrynn at their house in Pittsburgh, probably around 1965. (Right) This slide was processed in September 1967. 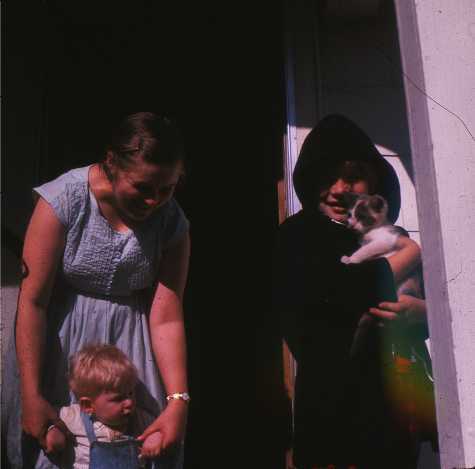 It shows Gail, Mickey, and Phillip on the front porch of our house in Hemlock. The slide on the left is from the spring of 1973. 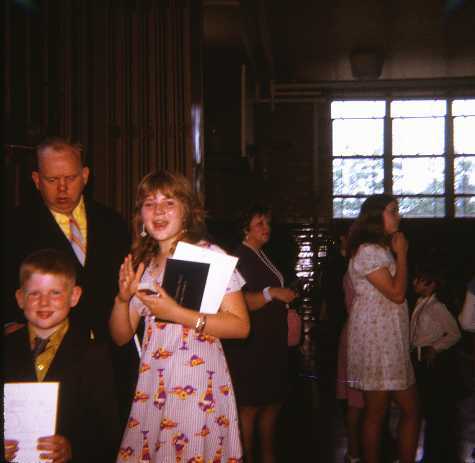 I think it must have been taken at a school or church event. (Right) The Herrmann family enjoys a day in their backyard pool. Gail, Phillip and Terrynn are in the pool, Mickey is on the deck. 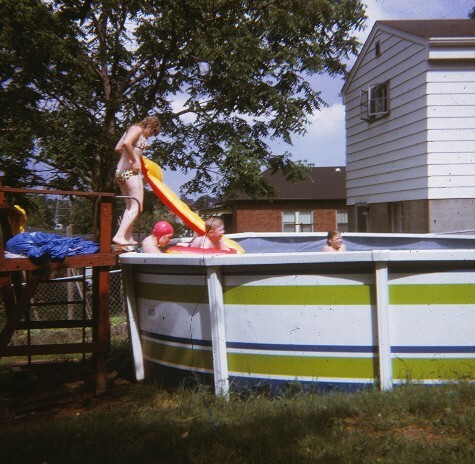 The slide was processed in June of 1973. (Left) This may have been taken in 1977- or perhaps a little earlier. 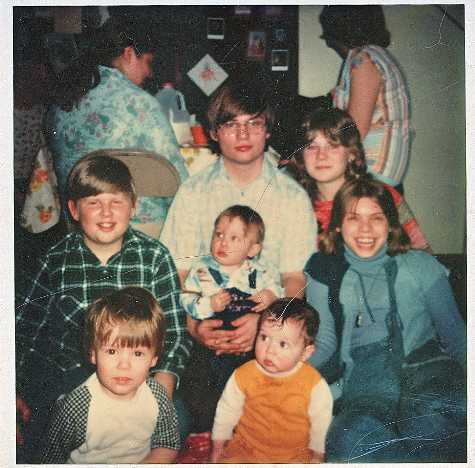 Mickey is sitting on the right behind her sister Terrynn. 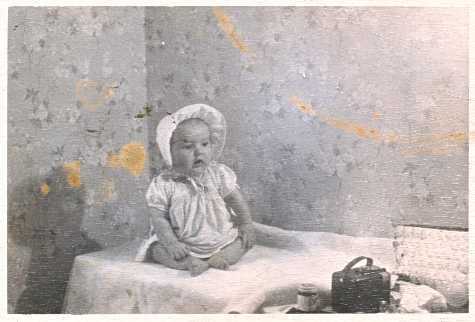 For more on this picture and other photos of Mickey, go to the grandchildren page. (Right) This photo is dated 1979. With Mickey is her husband Duke, me, and Mom. If anyone has a favorite picture of Michelle they would like to post on the page, please send them to me! Michelle Hermann Hess lives on through her family and friends. 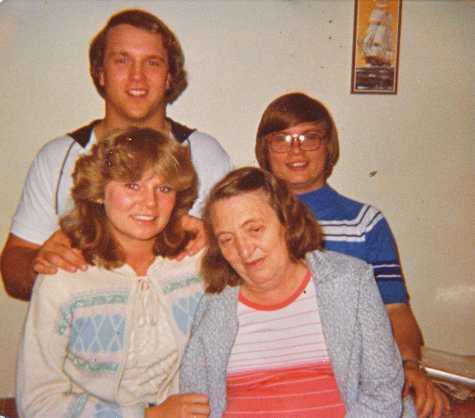 For a photograph of her family taken at the funeral home, go to the grandchildren page and look under Gail Cook Herrmann.